This weekend Concord Rangers will welcome Dartford to the Aspect Arena in their latest Vanarama National League South fixture. Dartford currently sit 3rd in the National League South table, 10 points clear of the first team outside the playoffs in 6th. The Darts won their last game this past Saturday as they hosted and beat Bath City 2-0. It was their first win in 4 games, but they have lost only once in their last 10 fixtures (putting them second in the 10 game form guide). 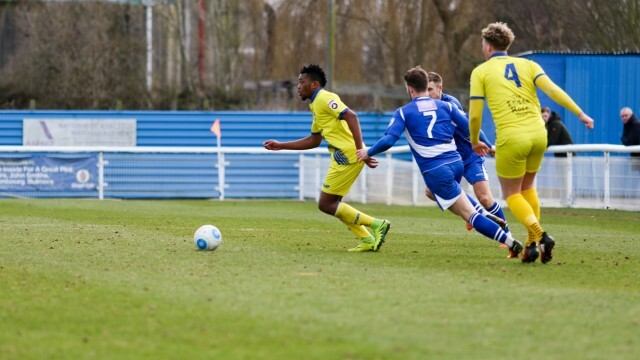 Concord Rangers played out a frustrating 0-0 stalemate this past weekend against Margate, but although it was only a point earned, it moved the Beachboys a place up the table in to 17th spot. Concord now sit 8 points clear of the bottom three, but will be looking to earn their fourth win in 6 games, and first since the long trip to Truro on the 18th February. The previous encounter between the two sides took place way back on the 24th September 2016, where 842 saw the home side earn a 2-1 victory over the Beachboys at Princes Park. Concord’s consolation goal on the day was scored by the now former Beachboy Jay Dowie.